Frances was kind enough to share a few photos of her creations! 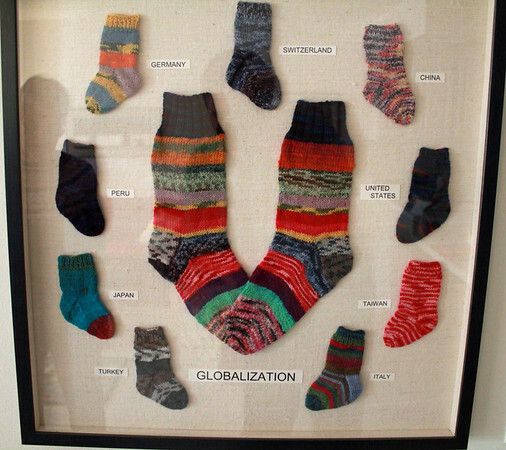 Below is a picture of her socks that were framed in a shadow box as a gift which Kelley and Frances refer to in the podcast. Click on the picture to see a gallery that shows off more of Frances’s colorful socks!